Hands up who thinks chronic illness is pants? Who’s too exhausted or in too much pain to raise their hand??? I have come to believe that when you lose your health, you lose a sense of your identity with it. Gone is You; the person you had been your entire life. It’s hard to explain, hence it is difficult to understand, and if you haven’t experienced it I imagine it’s very hard to get your head around. I am almost bombarded with “But you’re still the same Anna to us” comments. Perhaps so. But to me, I am different now and the image I had of myself has been eradicated by ill health. Some of us are getting to the point where we have been ill for as long as we haven’t. It hit me the other day that my university friends will soon have known me longer as an ill person than as a healthy one. This does not make for happy sufferers of chronic illness. The frustration and despair and injustice can eat away at you so I’m trying to do something about it. Instead I now write only three sentences or bullet points per day. My three good things. I’ve seen quite a few of my twitter crew doing the same. So I thought I’d go back over the last couple of months and share a few with you. They might seem silly or too simple to you but to me they have become the greatest of achievements and the simplest of things can help raise a smile even on those bedbound days. I think you’ll agree that they’re worthy of exclamation marks!!! Going for coffee with a friend & not needing to put my feet up on her chair! Visit from my grandparents & being able to make them a cup of tea! Wrapped a friend’s birthday present by myself! Used a knife and fork! Only having to be in bed for half the day! The same can be done with what we’ll call a Jar of Happiness. Everyday the highlight of the day is writing down and popped into a jar. After a year there will be 365 highlights and rereading them all will no doubt count as a highlight too. It's great to see so many of us spoonies being so positive about the new year. So many people that are taking more notice of the good things rather than the overall pantsness. I'm going to start my memory jar tomorrow. Yet another a lot of us seemto be doing. Spa day with my Mum. Pamper me! We're pretty remarkable people really. Amazing that you write about identity at this time. It is something that I have thought about for use time. As a person with ME I have long felt that my identity has been masked, both to myself and to others. Hence my photo on Twitter. No prizes for guessing that it's not actually me. That was a conscious decision which I don't regret. What I do regret is changing it to an actual photo of me, due to people goading me in fun to do so. Felt uncomfortable with it and today changed it back to the koala. 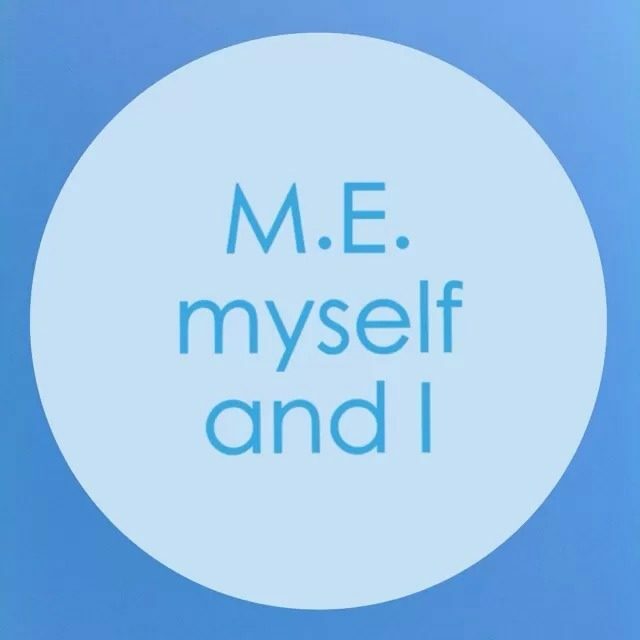 ME is an invisible illness and makes the real me with ME feel invisible. I am not hiding behind it but merely reflecting an image which is not me and people can imagine what they want.